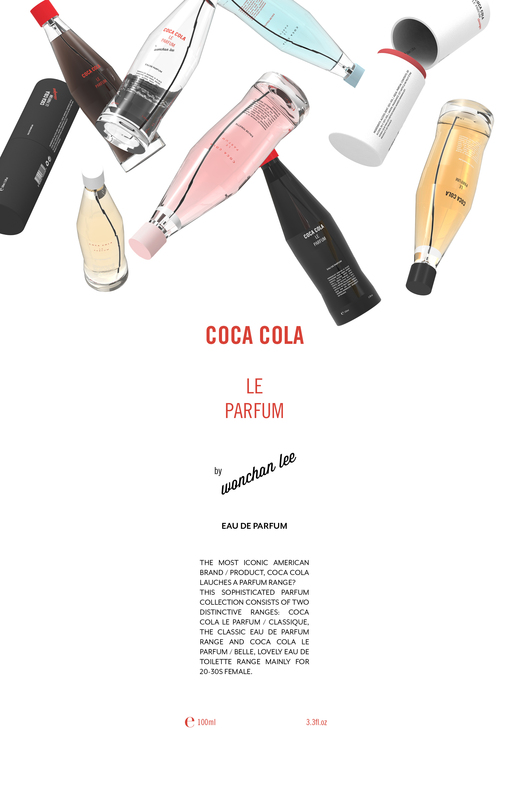 What if the most beloved / hated and the most iconic American brand·product, Coca Cola launches a parfum range? 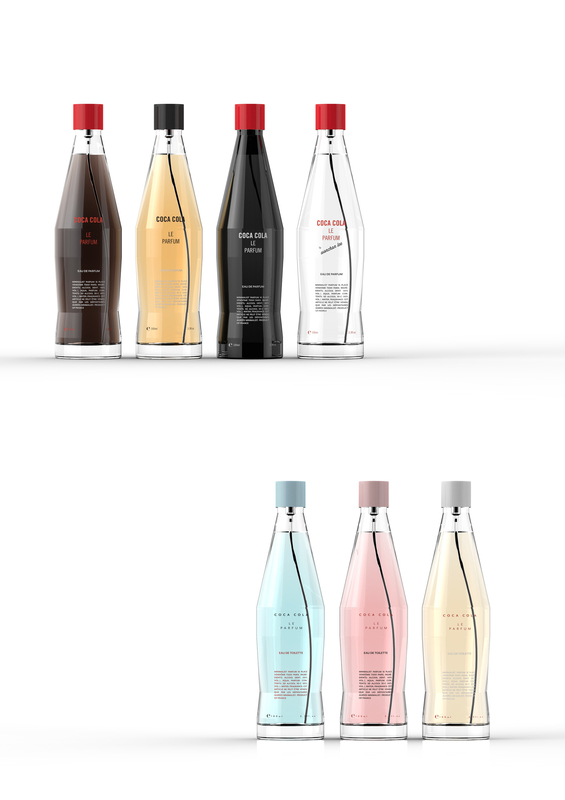 This sophisticated parfum collection features two distinctive ranges: COCA COLA LE PARFUM / Classique, the classic Eau de Parfum range and COCA COLA LE PARFUM / Belle, lovely Eau de Toilette range mainly for 20-30s female. Forbes지 선정 애플, 마이크로소프트사에 이은 전세계 브랜드 가치 3위의 기업 코카콜라. 전세계적으로 가장 많은 사랑과 미움을 받고 있는 이 마법의 음료가 향수로 다시 태어난다면? 그 어떤 브랜드, 그 어떤 프로덕트보다도 미국스러운 코카콜라가 가지고 있는 iconic한 이미지와 대중성을 프랑스의 세련되고 섬세한 감성으로 풀어보면 재미있지 않을까 생각 해 보았다. 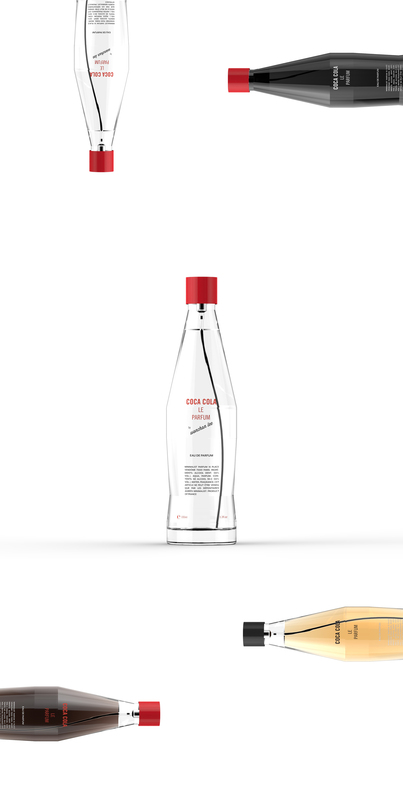 코카콜라 브랜드 아이덴티티와 패키지의 컬러 테마가 반영된 Classique 라인, COCA COLA LE PARFUM / Eau de Parfum 과 2·30대 여성을 위한 상큼하고 러블리한 Belle 라인 COCA COLA LE PARFUM / Eau de Toilette 으로 구성되어 있다.